If you are interested in a loan, please contact Roger or Wendy at (570) 825-8150. Loans are disbursed by pre-scheduled appointment in our Wilkes-Barre office, and in many cases you can leave with the check! Applicants must have regular shares on deposit equal to 10% of the loan or $200.00, whichever is less, before the loan may be disbursed. Loans are available to a member immediately upon joining. SIGNATURE LOANS: Loan limits are set based upon income. A co-maker may be required. 95% of the N.A.D.A. retail value for 2018, 2017, or 2016 model years. 90% of the N.A.D.A. retail value for 2015, 2014, or 2013 model years. 85% of the N.A.D.A. retail value for 2012, 2011, 2010, 2009, or 2008 model years. Boats, mobile homes, or motorcycles are not acceptable as vehicle loans. 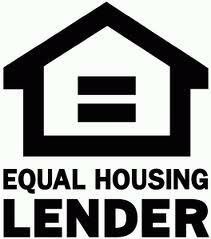 HOME EQUITY LOANS: All individuals on the deed must sign loan documents. Application fees may apply based on the amount of funds requested (see Rates page). The Credit Union must be the first OR second mortgagee for all home equity loans, so you may wish to pay off an existing mortgage or mortgages. Loans are disbursed by pre-scheduled appointment in our Wilkes-Barre office. For more information, please contact Roger or Wendy at (570) 825-8150 or toll free at 1-888-926-8566. Though we would prefer to talk to you in person, you can print out and fill in our application forms. Please note that inaccurate or incomplete applications may result in delays or denials in processing your application. If you are buying a vehicle from a dealer, please ask them to fax the buyer’s order to our office at 570-825-7125. Home equity loans require submission of an application with cover sheet along with a copy of your deed. They take an average of 3 weeks to process due to appraisal, title search, etc. We will call you to schedule your closing in our office, and funds will be disbursed 3 business days after your closing. See the chart above for fees that may apply.